Alejandro Alberto Ceda De Aza was originally signed by Dodgers scout Pablo Peguero…attended Hicayagua High School in the Dominican Republic. Spent the entire season with the New York Mets and hit a career-low .205 with six home runs and 25 RBI in 130 games…had a .297 on-base percentage and .618 OPS, which were his lowest since his rookie season of 2007 (.261 and .574)…his .321 slugging percentage was his lowest since 2009 (.300)…struck out 67 times and his average of 3.99 plate appearances per strikeout was the worst mark of his career… made 37 of his 45 starts against right-handed pitching…hit .207 (40-for-193) with all six of his home runs against right-handers compared to .195 (8-for-41) against left-handers…has hit 46 of his 51 career home runs off righties…went 14-for-55 (.255) with eight walks, a double, two home runs and two RBI as a pinch hitter…the home runs were the first pinch homers of his career…tied for third among National League pinch hitters in hits, tied for fourth in walks and ranked fifth in plate appearances (63)…was batting .176 with two home runs and six RBI in 64 games at the All-Star Break…then hit .230 with four home runs and 19 RBI in 66 games after the break…had a .227 batting average with runners in scoring position, including .182 with RISP and two outs…entered the season with a .305 career average with RISP…went 3-for-5 (.600) with a pair of doubles with the bases loaded…batted .240 at night, .143 during the day…hit .264 with no outs, .191 with one out and .147 with two outs…had a .163 interleague average…appeared in 46 games (29 starts) in center field, 22 games (eight starts) in left field and 14 games (eight starts) in right field…did not have an assist in 76 games overall in the outfield, which were third most among NL outfielders with no assists…started games in every spot in the order except third and fourth and saw his most playing time with 11 starts in the leadoff spot…hit .154 with a .244 on-base percentage in 12 games overall batting first…batted .297 with three of his six home runs in 64 games in the nine spot. Hit .278 (78-281) with seven home runs vs. lefthanded pitching in 2015 (combined between Baltimore, Boston and San Francisco)... Played 69 games in leftfield, 37 in rightfield and one in centerfield....Began the year with Baltimore and was traded to Boston on June 3...Traded to San Francisco on August 31...Had 24 multi-hit games (21 two-hit games and three, three-hit games)....Homered in back-to-back games while with Boston on June 27 and June 28 (at Tampa Bay)... Fashioned a .318 (21-66) batting average for Boston in June (21 games)...Had three homers and 12 RBI during the month....Collected three hits and knocked in four runs at Toronto on July 2. The O's went 14-6 in games he played after being acquired on August 30. Made his O's debut, September 2 vs. CIN, collecting his 1st O's hit in his 1st at-bat that night. Hit safely in his first eight games as an Oriole (September 2-12), the longest streak to begin an O's career since Eric Byrnes hitin 11 consecutive games, July 30-August 10, 2005. Set career-highs with 10 total bases and three extra-base hits, September 9 @BOS (3-4, BB, 2B, 2HR, 2R, 3RBI). It was the second multi-homer game of his career (also March 31 vs. MIN for CWS). Logged the 16th two-triple game in club history, going 2-for-5, with two RBIs on September 12 vs. NYY (G2 of a DH). On September 25 @NYY, paired with Nick Markakis to hit the O's first back-to-back HR to lead off a road game since June 6, 2001 (Hairston & Bordick). Played in six postseason games, batting .333/.391/.476 with three doubles and three RBIs. Established career highs in hits (160), home runs (17), RBI (62), runs scored (84) and games played (153) in his second full season with Chicago … his 17 homers ranked second on the team and tied Ray Durham (2000) for the second-highest total by a No. 1 hitter in franchise history (Durham, 19 in 1998) … hit four leadoff homers, upping his career total with the White Sox to eight … appeared in 107 games (105 starts) in center field and 79 (41) in left … hit in the leadoff spot in all 146 of his starts … batted .302 (42-139) vs. lefties, compared to .252 (118-468) vs. right-handers (13 of his homers were against righties) … his .338 average 27-80) during interleague play was the 11th-best in the American League … struck out 147 times, 10th-most in the AL … was caught stealing eight times and picked off six times (made 25 total outs on the bases) … homered in consecutive games on 4/13-14 at Cleveland for the first time in his career … did not play on 4/18 at Toronto after playing the first 16 games … hit his fifth career leadoff home run on 4/20 vs. Minnesota (tied Pat Kelly for third most in White Sox history) … hit his sixth leadoff home run on 5/8 at New York-NL, moving into sole possession of third place in franchise history… hit a leadoff homer in his second consecutive game on 5/10 vs. Los Angeles-AL … became the first White Sox to accomplish the feat since Kenny Lofton on 7/18-19/02 … recorded an eight-game hitting streak from 5/30-6/6, hitting .378 (14-37) with seven RBI and six runs scored … hit his eighth career leadoff homer (fourth of 2013) on 6/19 at Minnesota, third-most in White Sox history behind Ray Durham (20) and Tim Raines (nine) … connected on his career-high 10th home run on 6/21 at Kansas City … hit a game-winning sacrifice fly in the ninth inning on 6/22 at Kauffman Stadium … earned AL Player of the Week honors for 7/8-14, hitting .414 (12-29) with three doubles, two home runs, four RBI and seven runs scored over seven games (first career honor) … homered on 7/11 at Detroit and 7/14 at Philadelphia … matched his career high with four hits on 7/20 vs. Atlanta … recorded his second nine-game hitting streak of the season from 8/1-9 (.289, 11-38) … hit a game-ending, two-run triple off Adam Warren in the 12th inning on 8/7 vs. Yankees … connected on his second game-ending hit of the season on 8/13 vs. Detroit, a RBI single off Phil Coke in the 11th inning … matched his career high with four hits on 8/26 vs. Houston … hit his 17th and final home run on 9/24 at Cleveland … played for the Dominican Republic in the World Baseball Classic, going 5-24 (.208) with three RBI in eight games for the tournament champions. Established career highs in virtually every offensive category in his first full season with the White Sox ... connected on four leadoff home runs, tied for the fifth-most in franchise history and the most since Ray Durham (franchise-record six) in 2001 ... tied for 10th in the American League with six triples ... made 123 starts in center field, five in left and 127 in the leadoff spot in the lineup ... led the Sox and ranked 11th in the AL with 26 stolen bases ... batted .291 (115-395) with eight homers and 42 RBIs vs. right-handed pitchers, compared to .248 (32-129) with one home run and eight RBIs vs. lefties ... hit .300 (30-100) with 44 RBIs with RISP and .355 (22-62) with RISP/less than two outs ... combined to hit .313 (68-217) in May and June but .257 (79-307) the rest of the season ... batted .303 (72-238) with six home runs and 29 RBIs vs. the AL Central and a combined .254 (55-216) with three homers and 17 RBIs vs. the AL East and West ... hit his first career leadoff home run on 4/9 at Cleveland, the first for the White Sox since Scott Podsednik on 10/2/09 at Detroit ... homered in consecutive games from 4/9-11 for the first time in his career ... hit his first career grand slam and matched a career high with four RBIs on 5/24 vs. Minnesota ... set a career high with his 13th stolen base on 6/2 vs. Seattle ... matched a career high with four hits on 6/9 vs. Houston ... reached base four times on 6/20 vs. the Cubs ... homered and collected four hits on 6/28 at New York-AL ... hit a two-run homer off Justin Verlander on 7/20 at Detroit ... missed two games from 7/28-29 with a sprained left wrist (suffered the injury on 7/27 at Texas) ... hit a game-winning RBI single in the ninth inning on 8/1 at Minnesota ... missed games on 8/6-7 and 8/16-17 with back stiffness ... was on the disabled list from 8/18-9/2, including four injury rehabilitation games with Class AAA Charlotte, with bruised left ribs ... connected on his second leadoff homer on 9/2 at Detroit (off Verlander) in his first at-bat off the disabled list ... hit his third career leadoff shot on 9/18 at Kansas City (Luke Hochevar) ... registered his fourth four-hit game on 9/19 at Kansas City (fell a home run shy of the cycle) ... hit his fourth leadoff home run of the season on 9/21 at Los Angeles-AL (off Ervin Santana). Set career highs in every offensive category, batting .329 (50-152)with 11 doubles, three triples, four home runs and 23 RBI in 54 games inhis second season with the white sox...batted .345 (49-142) from 8/3-rest of the season, the sixth-best average in the American League behindDetroit's Miguel Cabrera (.408), Boston's David Ortiz (.354), Texas' MikeNapoli (.351), Detroit's Victor Martinez (.347) and New York's Derek Jeter(.346)...made 31 appearances in right field (21 starts), 19 in center (18)and four in left (two)...went 12-17 in stolen base attempts...was 12-26(.462) with runners in scoring position...average by position in the lineup:No. 2 (.429), No. 6 (.259), No. 7 (.309) and No. 8 (.346)...began the seasonwith Class AAA Charlotte and hit .322 (124-385) with nine home runs and37 RBI in 99 games...was named to the Topps' Triple-A All-Star Team...ranked among International League leaders in hits (1st), total bases (1st,190), average (2nd), doubles (T4th, 29), stolen bases (5th, 22) and triples(T5th, 5) at the time of his promotion...was recalled from Charlotte on7/27 and hit his first Major-League home run that afternoon vs. Detroit (offMax Scherzer)...collected a career-high four hits on 8/3 vs. the Yankees,going 4-4...hit two triples on 8/16 vs. Cleveland, the first Sox player toaccomplish the feat since Alex Cintron on 4/13/06 at Detroit...recorded acareer-high four RBI on 8/30 vs. Minnesota...his error on 9/12 vs. Detroitended a string of 54 errorless games (99 TC) dating back to 5/20/09 vs.Arizona...reached base safely in a season-best 14 consecutive gamesfrom 9/5-22...recorded three straight multi-RBI contests from 9/20-21...drew a career-high three walks on 9/22 at Cleveland...played in 38 gameswith Este in the Dominican Winter League, batting .198 (22-111). Spent the majority of the season with Class AAA Charlotte...appeared in 19 games with the WhiteSox, going 9-30 (.300) with three doubles and seven runs scored...made eight starts (seven in center field andone in right) and was used as a pinch runner six times (three runs scored)...was recalled from Charlotte on 9/1... doubled on 9/28 vs. Boston, his first hit since 6/30/09 vs. Washington (with Florida)...matched a career highwith three hits on 9/29 vs. the Red Sox...compiled a six-game hitting streak to end the season (.450, 9-20)...hit.302 (96-318) with 21 doubles, four triples, five homers and 49 RBI in 79 games with the Knights...led Charlottein on-base percentage (.366) and tied for the team lead in triples...was on the disabled list with a sprained rightwrist (5/9-6/18) and a left knee contusion (7/11-18)...recorded a 14-game hitting streak from 4/29-6/28, batting.464 (25-56)...went 5-6 with two doubles and four RBI on 6/28 vs. Buffalo...went 22-59 (.373) with 15 RBIover his final 14 games, including a 4-5 effort with three doubles and four RBI in his final game with the Knightson 8/30 at Durham...played in 20 games with Este of the Dominican Winter League. Spent the majority of the season with Class AAA New Orleans in the Florida Marlins organization, batting .300 (80-267) with eight home runs and 34 RBI in 87 games...also appeared in 22 games over four stints with the Marlins, hitting .250 (5-20) with one double and three RBI...made six appearances in left field and five (two starts) in center...was claimed off waivers by the White Sox on 10/21 (acquisition recommended by JoeButler)...played in 22 games with Este of the Dominican Winter League. Missed the entire season with a left ankle sprain...appeared in two games with Azucareros in the Dominican Winter League. Made Opening Day roster and appeared in 45 games with Marlins ... made Major League debut April 2 at Washington and went2x4 ... notched first ML hit with infield single to first base off RHP Levale Speigner ... hit safely in first eight games, before going hitlessas pinch hitter April 15 at Atlanta ... with hit in each of first eight games, tied Hanley Ramirez (2006) for club rookie record forhit streak to start season ... recorded first ML RBI April 7 vs. Philadelphia with eighth-inning double off RHP Ryan Madson that scoredJoe Borchard ... logged first stolen base in same game, stealing third base off catcher Carlos Ruiz ... Missed significant time with right ankle injury ... went on 15-day Disabled List April 18 (retroactive to April 16), and was transferredto 60-day DL June 16 ... made rehab appearances with GCL Marlins, Jupiter (A) and Carolina (AA) ... reinstated from DL andreturned from rehab August 8. Made stops with Carolina (AA), Jupiter (A) and the Marlins' Gulf Coast League affiliate...was Carolina's lone representative inSouthern League All-Star Game...Played primarily with Carolina, where he hit .278 with two homers and 16 RBI in 69 games...finished fifth in league with 27 stolenbases...hit .297 (52x175) with two home runs against right-handers and .218 (12x55) against lefties...had best month in May, batting.358 (39x109) with one homer and eight RBI in 29 games...went on disabled list from June 9 to August 20 with right wrist contusion...during DL stint, did rehab assignment with the GCL Marlins, where he batted .458 (11x24) with four RBI in seven games...after he was reinstated from DL was sent to Jupiter for two games from August 20-22... hit .143 (1x7) in two games with Jupiter...went 4x28 with two RBI in 10 games after he returned to Carolina on August 22...Had season-high four hits on May 17 vs. Tennessee...Hit .237 (9x38) with one homer and four RBI in 17 games with Oriente in the Dominican Winter League. In first season in Marlins organization, batted .286 with three home runs and 37 RBI in 123 games with Jupiter (A) in the FloridaState League...finished third in league with nine triples and fourth with 34 stolen bases...had best month in July, batting .320(32x100) with eight RBI in 26 games...hit .304 (31x102) with one homer and 10 RBI in 26 games in May...appeared in all threeoutfield spots and as designated hitter. Hit .255 with four home runs and 45 RBI in 102 games with Columbus (A) in the South Atlantic League...swiped 24 bases andwas caught stealing 10 times...hit .326 (30x92) with three homers and 16 RBI in 23 games during August...appeared defensivelyin all three outfield spots, as well as first base...played in 23 games as designated hitter, batting .233 (20x86) with 14RBI. Batted .231 with two home runs and 24 RBI in 55 games with Ogden (A) in the Pioneer League...finished fourth in leaguewith 15 stolen bases...appeared primarily in center field (41), but also saw time in left field and as designated hitter...hitboth home runs over a three-day span from August 2-4. Played all season with the Dodgers' affiliate in the Gulf Coast League, and batted .227 with one homer and 14 RBI in 38games...swiped 16 bases and was caught only twice. Appeared in 68 games with the Dodgers' affiliate in the Dominican Summer League... batted .303 with three home runs and37 RBI and was 7x16 in stolen base attempts. January 31, 2019 OF Alejandro De Aza assigned to Venezuela. August 8, 2018 Syracuse Chiefs released RF Alejandro De Aza. July 21, 2018 Syracuse Chiefs activated RF Alejandro De Aza from the 7-day disabled list. July 7, 2018 Syracuse Chiefs sent OF Alejandro De Aza on a rehab assignment to GCL Nationals. May 4, 2018 Syracuse Chiefs placed RF Alejandro De Aza on the 7-day disabled list retroactive to May 2, 2018. May 2, 2018 Syracuse Chiefs placed RF Alejandro De Aza on the 7-day disabled list. April 6, 2018 RF Alejandro De Aza assigned to Syracuse Chiefs. March 2, 2018 OF Alejandro De Aza assigned to Washington Nationals. 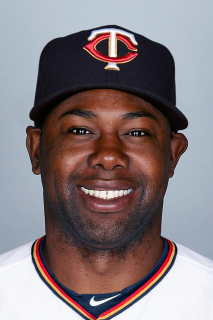 November 12, 2017 OF Alejandro De Aza assigned to Cardenales de Lara. November 2, 2017 LF Alejandro De Aza elected free agency. October 13, 2017 Washington Nationals activated LF Alejandro De Aza. October 6, 2017 Washington Nationals reassigned LF Alejandro De Aza to the minor leagues. August 16, 2017 Washington Nationals selected the contract of LF Alejandro De Aza from Syracuse Chiefs. June 14, 2017 Washington Nationals signed free agent OF Alejandro De Aza to a minor league contract. June 14, 2017 OF Alejandro De Aza assigned to Syracuse Chiefs. June 13, 2017 Washington Nationals signed LF Alejandro De Aza. January 20, 2017 Oakland Athletics signed free agent LF Alejandro De Aza to a minor league contract and invited him to spring training. January 20, 2017 LF Alejandro De Aza assigned to Nashville Sounds. November 3, 2016 CF Alejandro De Aza elected free agency. December 23, 2015 New York Mets signed free agent CF Alejandro De Aza. November 2, 2015 LF Alejandro De Aza elected free agency. August 31, 2015 Boston Red Sox traded LF Alejandro De Aza to San Francisco Giants for LHP Luis Ysla. June 4, 2015 Boston Red Sox activated LF Alejandro De Aza. June 3, 2015 Baltimore Orioles traded LF Alejandro De Aza and cash to Boston Red Sox for RHP Joe Gunkel. May 27, 2015 Baltimore Orioles designated LF Alejandro De Aza for assignment. August 31, 2014 Chicago White Sox traded LF Alejandro De Aza to Baltimore Orioles for RHP Mark Blackmar and RHP Miguel Chalas. October 17, 2013 OF Alejandro De Aza assigned to Toros del Este. September 2, 2012 Chicago White Sox activated LF Alejandro De Aza from the 15-day disabled list. August 28, 2012 sent LF Alejandro De Aza on a rehab assignment to Charlotte Knights. December 27, 2011 OF Alejandro De Aza assigned to Tigres del Licey. July 27, 2011 Chicago White Sox recalled Alejandro De Aza from Charlotte Knights. March 22, 2011 Chicago White Sox optioned Alejandro De Aza to Charlotte Knights. January 31, 2011 OF Alejandro De Aza assigned to Dominican Republic. September 1, 2010 Chicago White Sox recalled Alejandro De Aza from Charlotte Knights. July 18, 2010 Alejandro De Aza roster status changed by Charlotte Knights. July 11, 2010 Charlotte Knights placed LF Alejandro De Aza on the 7-day disabled list. June 18, 2010 Charlotte Knights activated LF Alejandro De Aza from the 7-day disabled list. May 10, 2010 Charlotte Knights placed LF Alejandro De Aza on the 7-day disabled list. March 30, 2010 Chicago White Sox optioned LF Alejandro De Aza to Charlotte Knights. October 21, 2009 Chicago White Sox claimed Alejandro De Aza off waivers from Florida Marlins. October 19, 2009 Alejandro De Aza roster status changed by Florida Marlins. October 16, 2009 CF Alejandro De Aza assigned to Toros del Este. July 8, 2009 Florida Marlins optioned Alejandro De Aza to New Orleans Zephyrs. June 2, 2009 Florida Marlins recalled Alejandro De Aza from New Orleans Zephyrs. May 21, 2009 Florida Marlins optioned Alejandro De Aza to New Orleans Zephyrs. May 17, 2009 Florida Marlins selected the contract of Alejandro De Aza from New Orleans Zephyrs. May 1, 2001 Los Angeles Dodgers signed free agent OF Alejandro De Aza to a minor league contract.